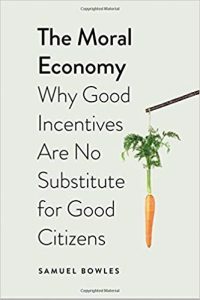 Civil Economy; Another Idea of the Market (2017) | Moral Markets? Global financial capitalism has eroded the moral economy on which all economic exchanges ultimately depend. The principles of reciprocity, responsibility and redistribution, which for centuries defined the market place, have been increasingly pushed aside by a growth model that places the pursuit of profit above all else. Drawing on the Italian tradition of civic humanism, political economists Luigino Bruni and Stefano Zamagni, advocate the need for a more well-mannered type of economic market – a civil economy – which places well-being, virtue, and the common good alongside more familiar economic goals like market share, increased productivity, and competitiveness. "Bruni and Zamagani note that the civil economy is not a school of thought or an economic system but rather a 'laboratory of thought in which we can attempt to imagine it.' 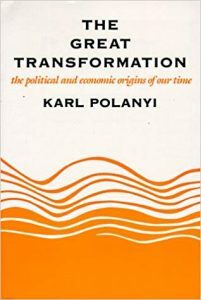 (p. 4) The authors draw in particular upon five individuals whose contributions to economics are generally ignored: Italian philosophers and political economists Antonio Genovesi, Giacinto Dragonetti and Achille Loria, Italian historian Amintore Fanfani, and English art critic John Ruskin. Integrating key, and often seemingly contrary elements from each, Bruni and Zamagani outline the core principles of civil economy. 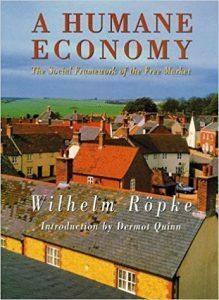 (1) The market is mutual assistance [...], (2) Public happiness [...], (3) Rewarding virtues [...], (4) Against all rents [...], (5) Good wealth [...], (6) The 'Catholic' spirit of capitalism [...]. As welcomed as Civil Economy is, it nevertheless falls short in some very significant ways. [...] Of particular surprise is the lack of any mention of a number of past and present economists and philosophers dedicated to the restoration of economics to its rightful place as a branch of ethics [...] Finally, Bruni and Zamagni leave open far too many questions about the meaning and use of a variety of key terms and concepts, as well as their interpretation of other thinkers and schools regarding the same." "Every so often, one comes across a book which tells you things you already know with such lucidity and insight that it becomes a fresh window onto the subject. 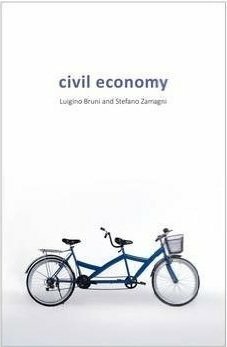 Italian economists Bruni and Zamagni here bring together central theses in their extensive earlier work on ‘civil economy’ in a cogent and concise form. One reason for the familiarity is that they have been influential for some decades on the development of Catholic Social Teaching, in particular Benedict XVI’s Caritas in Veritate. [...] Where Bruni and Zamagni’s work brings a persuasive freshness is in their careful location of their vision for a better economy within a long-established and predominantly Italian tradition dating back to Antonio Genovesi in the eighteenth century, and others. [...] whilst they do not make this the crux of their argument, the authors are clear that tensions in Christian theology since the Reformation lie only just below the surface of the story about why one sort of economics and not another dominates our world today. The corollary of that insight is that it may well be through rediscovering religious traditions that a better economics emerges. [...] What the authors’ notion of civil economy consists in begins to emerge in this second section but the scope remains for it to be refined further — this is not (yet) a manifesto. [...] it is heartening that the authors refuse to promote their preferred model by demonising everything to do with the economics we have now. So they are admiring of true entrepreneurship when it is distinguished from speculation [...]. They do not reject welfare capitalism or the welfare state but see both as needing the corrective influence of civil welfare in what the authors refer to as ‘circular subsidiarity’ in which the public, civil and corporate spheres interact to find the most effective level of action. Nor do the authors offer an absurdly optimistic anthropology in which the Reformation focus on sin is ignored and all are assumed to be motivated by virtue. Their argument is that ignoring the human potential for virtue is as unrealistic as believing it to be universal, and that re-introducing the civil and socialised dimensions to economic modeling would enable the discipline to work with a better, because more accurate, understanding of human motivation. [...] unlike many who write comparable critiques of economic orthodoxy, capitalism or globalisation, they are drawing explicitly upon a tradition of thought that has deep roots, failed to become dominant, but has never gone away." Luigino Bruni is professor of political economy at LUMSA Universita, Rome. He works on ethics and economics, the history of ideas and the philosophy of economics, with a special focus on the analysis of the interpersonal dimension in economic and social theory. 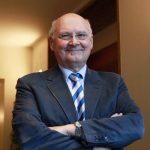 He is the author, among others, of The Genesis and Ethos of the Market (2012) and The Wound and the Blessing; Economics, Relationships and Happiness (2012). 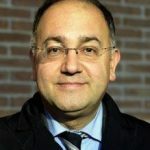 He is co-editor, with Stefano Zamagni, of the Handbook on the Economics of Reciprocity and Social Enterprise (2013) and, with P. Porta, the Handbook of Happiness and Economics (2005).